Released in the US on October 3rd. Opens in Malaysia December 11th, 2014. Okay, so this review is a little late in coming, Usually I post a review of what I've seen within 12 hours of watching the movie but this time I've caught a bug that's made me feel pretty crappy. In fact, I went to watch this movie while still sick and in fact I still feel crappy. But one must press on, right? Anyway, the movie has been out in the States for a couple of months now and my guess is if you're a fan of David Fincher, a real movie buff (the ones that appreciate a really good piece of film making and not the follow-the-crowd-fan-of-the-whatever-is-promoted-and-talked-about-everywhere sort) then you'll have already seen this or have figured out a way to see it. Well, on to the meat of the matter. 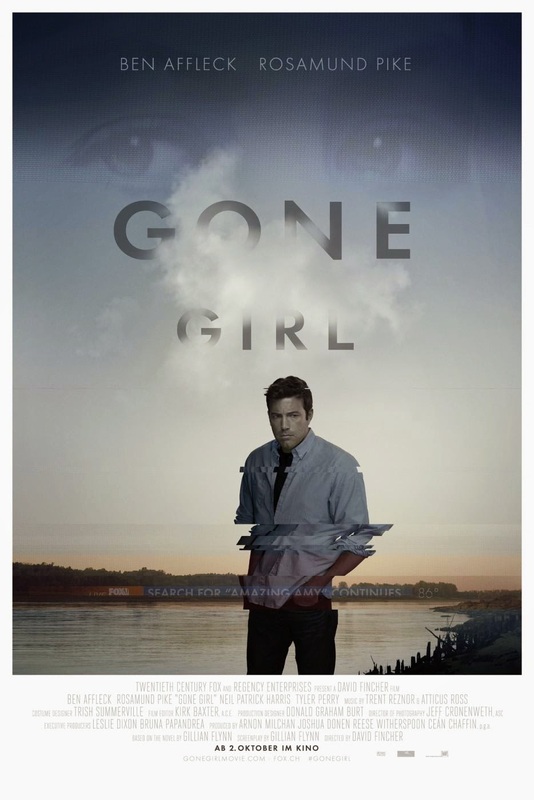 Gone Girl, directed by David Fincher based on a book by Gillian Flynn. Even before the book was actually published and made the New York Times number one best sellers list it was picked up for a possible adaptation into a movie. When it was settled that the novelist herself be writing the screen adaptation, which is quite a rare thing, Fincher upon reading her first draft of the screenplay agreed to work with her on the script throughout the whole production, again quite a rare thing. So it's enough to say, right from the get go that this was going to be quite special, that this movie should and would stay true to the book and that it's in the right hands when it comes to making it to the big screen. So what's the movie about? Well, it's about a man Nick Dunne, who gets wrongly accused of his wife's disappearance and the subsequent assumption of her murder when they find traces of blood in his home. This of course is nothing new, the most famous movie that has this theme is of course The Fugitive, although they really only share that wrongfully accused theme. There's no hunt for the supposed wife killer because there isn't one. So don't expect a crazy action packed chase scene of any kind. The movie is told through the point of view of the wife through her narration and her reading/writing in her diary in the first half or so. You get this one-sided view of what happens which only makes you think that he may have really done it. He's innocent. About halfway through the film you find out that it's a set-up. That because of his infidelities and her disappointment in him not turning into the ideal man that she's been trying to shape and craft him to be she devises a plan to punish him. Punish him with her murder. She sets up all sorts of clues and evidence for the police to find that would incriminate him. The media upon latching on to this missing-loved-one-turned-possible-murder start projecting all sorts of opinions, ideas and interpretations on not only what may have happened but also on who the husband really is. But the movie does so with a feminist slant on it. You only pretty much see a woman anchor or commentator making all sorts of assumptions about Nick Dunne. But the story goes beyond just finding out that she's set him up because at the end she herself becomes a victim of sorts and to escape from her uncomfortable situation she does what she does best, manipulate him and the circumstances that are available to her. When she escapes she runs back to her husband covered in blood with a new story to convince the police and the media that she's been the victim all along and that her husband has been wrongfully accused. Pretty interesting right? Well, I'm still a little hazy in the head because of this bug I caught but I hope whatever's written up there sounds interesting. Directed by David Fincher who also directed one of my all time favorite crime dramas SE7EN and the cult favorite Fight Club this is one of his best works to date in my opinion. Not better that maybe but equal to the others. This story is just incredibly unique. There's so many things to take in. You wonder about so many things. The clues to her disappearance and murder. 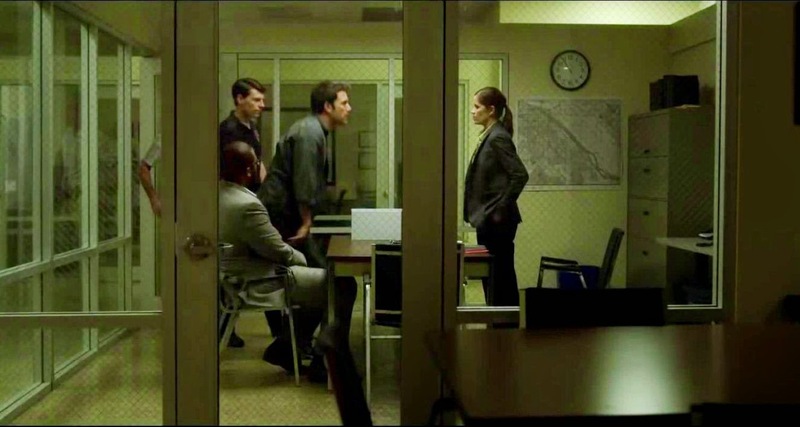 The husbands reactions and behavior to finding out her disappearance and being accused of her murder. And later on finding out that the loving wife isn't who she really seems to be at all. Then there's the way the media and public are portrayed throughout the film. It's scary to think that someone on TV can spout whatever s/he thinks regardless of how well informed they are and also 'share' their own opinions on things with the public. And even scarier that the public will swallow whatever the media says and then project all sorts of ideas, opinions, feelings, etc. upon those that they believe to be in the wrong. The movie may show an exaggerated variation on this but still there have been times that this has happened. 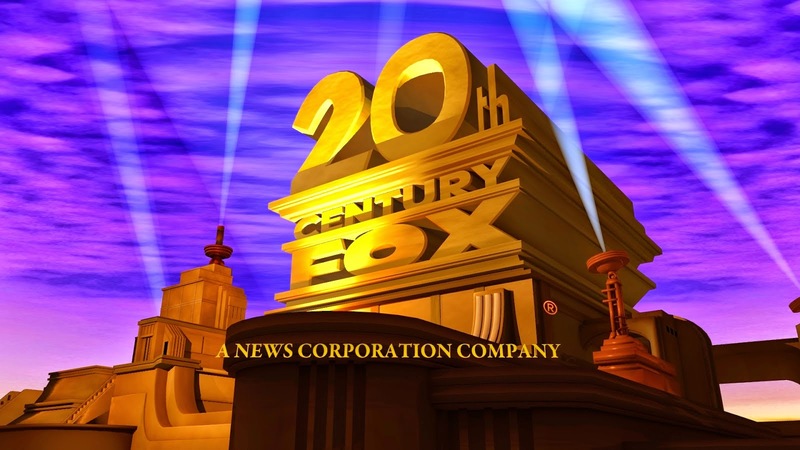 When was the last time you saw something on TV that you didn't project your own biased opinions on things? What made things worse or in the case of this movie better was Ben Affleck's performance. Because of his almost blasé attitude and response to the events and people around him you can't help but think that he may actually be guilty of something. 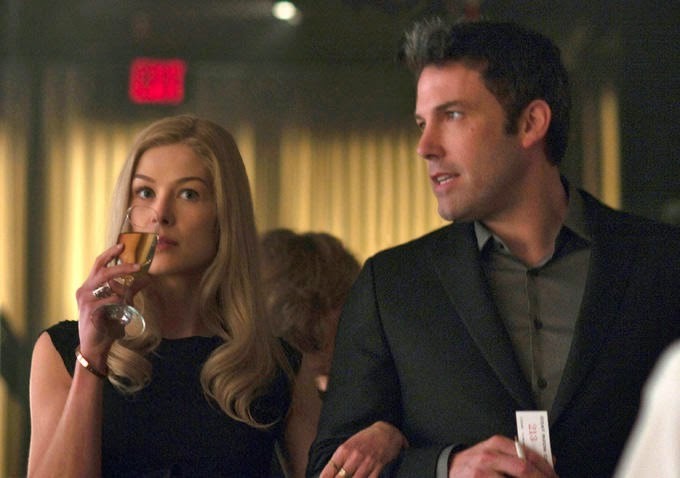 And Rosamund Pike's performance is on par as well, you really believe that she's the victim of circumstances that she can't help but when you find out that she's the mastermind behind her own disappearance you begin to loathe her for her manipulations and her lies. By the end of the movie you're thinking that maybe these two sociopaths deserve each other. To sum it up, this was truly an entertaining movie. Well paced and well acted. The almost three hour run time passed by beautifully, I was never bored or wanting for more. One of the better films of it's genre this year. I'll gladly say that this movie deserves it's ratings on IMDB and Rotten Tomatoes and I myself give it a good four out of five stars. 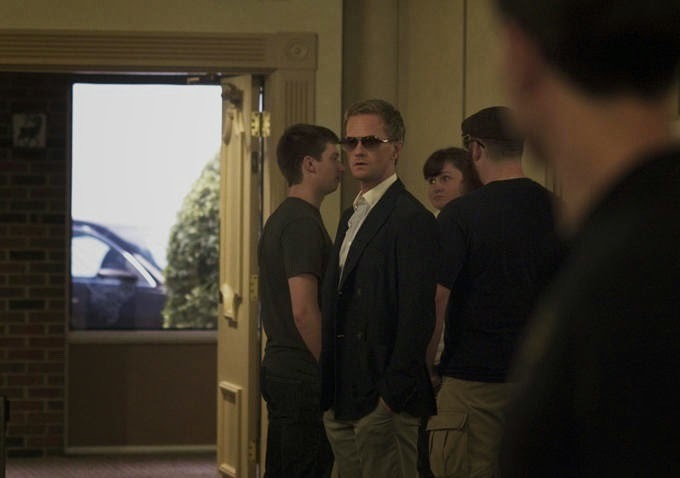 Everyone's favorite cool dude Neil Patrick Harris plays a creepy dude in this one and plays it pretty well. Fun fact, you get to see Ben Affleck go from fat to fit as he was buffing up for his role in the upcoming Superman vs Batman movie. I still find it hard to imagine him playing Batman. To prepare for his role he even studied cases of husbands accused of killing their wives, learning their mannerisms and such and I have to say it pays. 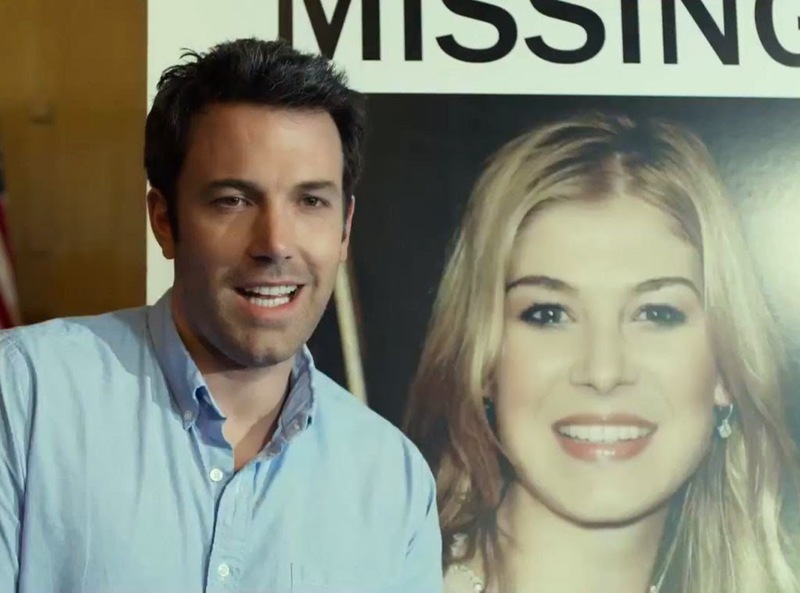 Of course the reason why David Fincher picked him for the role was because of a certain quality he has when he smiles. Go read it up on IMDB's trivia page for the movie there's lots more. Also if you're watching this in Malaysia you'll discover a new editing trick in order to keep the local censors at bay and which also explains why it took so long to get to Malaysian shores. This is probably not my best movie review post. I've still got a headache of sorts and well that makes it difficult to put two and two together. Or write good. THANK YOU TO NUFFNANG MALAYSIA, CHURP CHURP AND 20th CENTURY FOX MALAYSIA FOR LETTING US WATCH GONE GIRL BEFORE THE REST OF MALAYSIA!! THANK YOU TO TGV CINEMAS @ ONE UTAMA FOR HOSTING US YET AGAIN!! 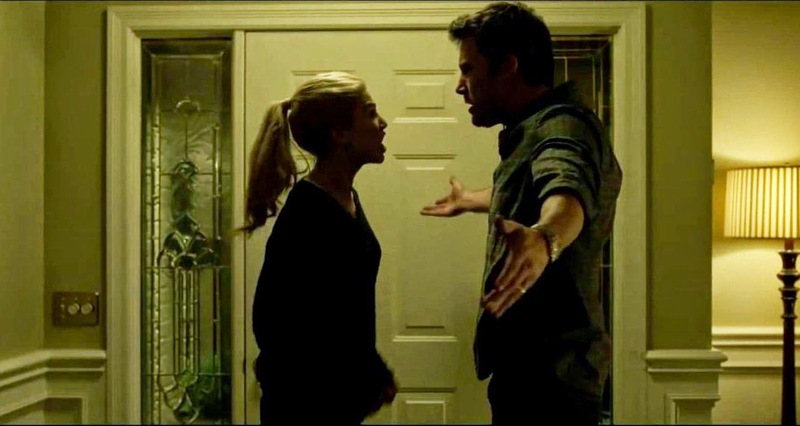 Does 'Gone Girl' has any subtitle on it? Hi Take! Thanks for dropping by my blog. Well, not sure what you mean but I watched it at the cinema here in KL and there were subtitles in Bahasa Malaysia. Hope that helps.